The 2019 Federal Budget includes $19.5 million to support space projects over the next three years in a bid to triple the size of our local industry to $2 billion and create another 20,000 jobs by 2030. In 2018, the local space industry had a big year: the Australian Space Agency (ASA) was established; reforms were passed to allow high-powered rockets to launch from Australian soil; and $160.9 million was allocated to the development of an operational Satellite-Based Augmentation System (SBAS) for super-accurate GPS capabilities. So far, 2019 has yielded further advances, one of which is the release of the nation’s first Civil Space Strategy, which details priorities over the next decade. “This strategy provides the certainty of a long-term framework around which the sector can plan its activities towards the long-term transformation and growth of the industry,” ASA head Dr Megan Clark said in a statement. Clark added that the $19.5 million Space Infrastructure Fund is a key initiative under the strategy, and will allow Australia to compete in the global space economy. The total includes previous commitments of $6 million for a mission control centre in South Australia, and $2 million for space manufacturing facilities at the Western Sydney Aerotropolis. Adam Gilmour, CEO of Queensland startup Gilmour Space Technologies, hopes to achieve his company’s first commercial rocket launch by 2020. Gilmour welcomed the strategy and investment. “We’re happy to see the renewed focus on the space industry with the new budget and agree with most of the principles, strategy and vision of the Australian Space Agency. We’re also happy to see that access to space is now a National Civil Space priority area,” he told Spatial Source. However, Gilmour raised concerns about the strategy’s timeline and the need for greater investment. “The 2021+ timeline is a concern as we would be needing launch infrastructure before that, and the work really needs to start now. It’s also our belief that the Space Agency will not be able to achieve its vision and strategy outcomes with the current state of funding,” he explained. 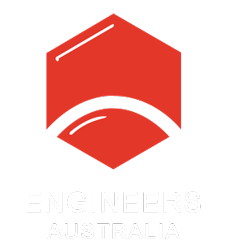 Dr Peter Moar, Chair of Engineers Australia’s National Committee for Space Engineering, agreed that more robust funding is needed, based on the investment levels of other space-faring nations. The Federal Government has stated it is working to triple the value of our local space sector to $2 billion and increase employment to 30,000 jobs by 2030 (an additional 20,000 jobs). “There needs to be significantly more baseline funding from the government towards strategic projects in order to meet that number of jobs,” Moar told create, adding that one of the roles of the ASA over the next three to four years should be to come up with an argument for an increase in Federal space funding.